Sunshine muffins are a healthy muffins for a breakfast treat. This portable sweet treat contains whole wheat flour, sunflower spread, dates molasses with fresh pineapple and blueberries. These are dairy free, eggfree & sugar free cupcakes. I just layered fresh fruit but if desired it can be combined with sugar and then layerd for caramelisation. Sweet treats for breakfast don’t have to be dry and tasteless. Thought there is no sugar added the natural blends of sweet blueberries and pineapple and dates mollasees adds the taste. Blue berries are loaded with Good for you antioxidants.. They make a perfect snack even for midday or anytime of the day. Pre-heat the oven at 180deg C, line the muffin tray with muffin cases and set aside. In a medium bowl, sieve in wheat flour, baking powder, baking soda and salt. In other bowl using electric mixer/hand whisk beat sunflower spread, dates molasses until fluffy. Add vanilla essence and mix until incorporated add in 1/2cup warm milk first and beat along until incorporated. Divine pineapple, blueberries spread along prepared muffing cases and divide the batter equally among the muffin cases filling 3/4full. Bake for 20-25 minutes or until a toothpick inserted comes out clear. Once baked cool on a wire rock for 10-15 minutes. Plain flour can be used alternatively to wheat flour. Any fruits of choice can be used as a variation. Posted on October 31, 2014, in Breakfast, Dessert, International, Vegan and tagged Chitras healthy kitchen, drchdietfood, No added sugar muffins, Vagan muffin recipes. Bookmark the permalink. 57 Comments. Sounds good too bad it has wheat flour. I wonder which of the GF flours could be used. 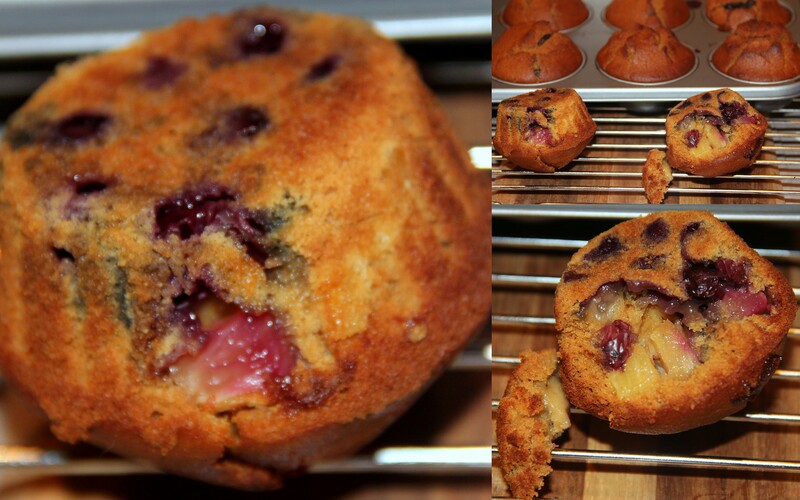 Nice muffin recipe with fruits ,am sure it will be delicious…. Thank you Swapna… it was delicious indeed. ..
My gosh, they look too good to be sugar free! I bet the pineapple makes them super moist. YUM!! Thank you Debbie… it was yumm indeed. .. hope you enjoying your Halloween. .. have a fabulous weekend…. Thank you! Happy Halloween to you also! Have a great weekend! Looks delicious and healthy too, pinned! Thank you Lily for your encouraging words. .. have a fabulous weekend.. These definitely look like the perfect yummy breakfast to me! Sugar and dairy free??? WOW, this recipe deserves a try! Thanks again! Thank you Margy. …look forward to hear how this recipe turned out for you…. These muffins are so good for breakfast. I missed eating muffins and I could use some now. Thanks for sharing, Chitra. Hugs! My hubby loves muffins .. will make for him. I love the name of these! And suddenly I have a craving for muffins! Thanks, Chitra! Thank you Vrisha for reblogging my recipes..Feels great to have such support..
I’ve been trying to have a healthy diet from quite sometime, Chitra. I’m happy to have come across your blog which is full of such healthy yet delicious recipes. I thought of having those easily accessible to me. Thanks for sharing those wonderful recipes.